This week’s blogger recipe comes from Inge Loker (Snap, Sizzle and Cook). This lovely lady is originally from Cape Town but has planted her roots firmly in KZN with her family. I met her briefly at the Cuppa For Cansa that I hosted last year but only really got a chance to sit down and chat with her at the lunch a few weekends back hosted by Megan Deane. It was then that I realized when an absolutely delightful and grounded person she is ( and I’m not just saying that because she liked my breyani lol ). 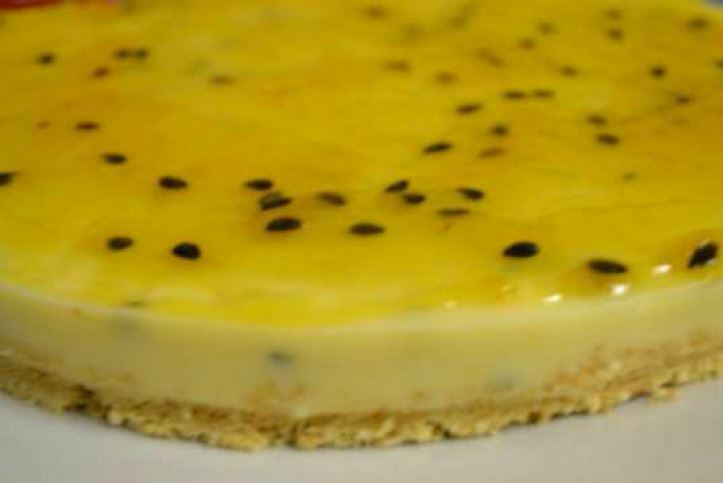 Inge is sharing her favourite recipe for her Granadilla Fridge Tart and it looks as good as it sounds. If there is one fruit that reminds me of summer its passion fruit. Granadilla as it is commonly known. For as long as I can remember, no matter which beach a person went to in Cape Town, there would undoubtedly be an ice-cream vendor from Gatti’s Ice Cream (click here (http://www.gattiicecream.co.za/) to Gatti’s website) selling delicious frozen lollies of all sorts. I admired these vendors since they spent hours in the hot sun walking on blistering sand carrying heavily laden cooler boxes filled with an array of ice lollies. Periodically one would spot them sitting on their boxes taking a few minutes to regain their strength. Not long after that a bellowing voice would cry out again, “an ice lollie make you jolly” in true “Kaapse Klopse” fashion. Of all the different ice lollies and ice-creams like wafers, caramel krunch, mint krunch, jelly jolly and crazy pine, my favourite was fruit sherbet granadilla. The plump blob of granadilla flavoured ice was the ultimate beach indulgence leaving ones lips numb and purple from the iciness. 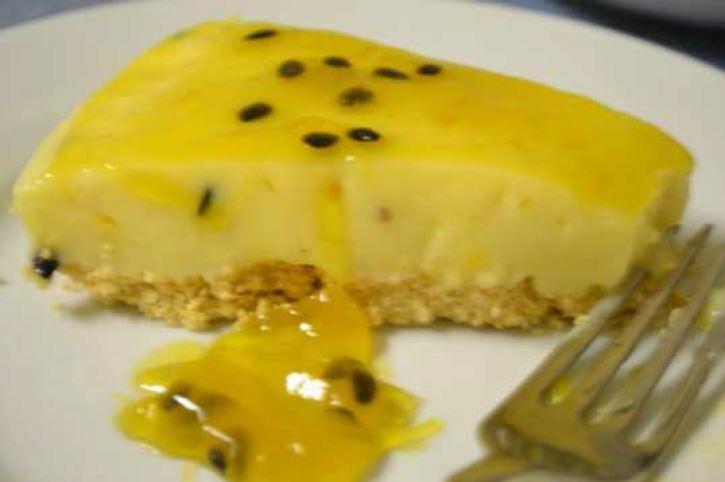 I still love granadilla with the result I have concocted an easy fridge tart, not quite the same as an ice lollie, but the granadilla pulp certainly bring back great beach memories for me. Place the entire packet of tennis biscuits in a food processor and blitz till it resembles fine bread crumbs. Work the butter into the crumbs with fingers and once well combined, press into a greased loose based 23cm round cake tin. Mix the jelly powder with 1.5 cups of boiling water. Once cooled, add the tin of condensed milk and granadilla pulp and mix well. Pour over tennis biscuit base and refrigerate until set. Serve as is or with ice-cream. Thanks for sharing this Inge, I also have very fond memories of the ice cream that inspired this recipe, so it’s definitely one to try. You can read up on more of Inge’s culinary escapades on her blog Snap, Sizzle and Cook or follow her on Facebook, Twitter and Instagram.